Are you ready for the madness? If not, start getting ready. That’s because the month of March not only means winter is coming to a close, it also means that March Madness is just around the corner – and with it a whole lot of basketball. So what makes March Madness so special? The NCAA’s annual national championship tournament, of course, which consist of 64 teams from different conferences – like the Pac-12 – playing in a one-week long tournament for a chance to make it to the “Big Dance.” This is the same tournament sports fans commonly refers to as March Madness – and with it comes countless brackets. According to the Oxford Dictionary, a bracket is a right-angled support attached to a wall for holding things like shelves and lamps. Kidding. Tournament brackets are a series of different matchups that involves two teams, and the winner of each game advances to the next level until they’ve won the championship. Within the first couple weeks of the tournaments, however, fans find themselves in heated bracket battles against co-workers, family members, and friends – from betting money to simply gaining bragging rights. What makes these tournaments so intense? It’s hard to tell since there are a variety of reasons. Some people claim they could care less who wins; then again, they do care who wins – the teams they pick. Then there are the super fans, who watch college basketball every day, taking notes on every team and every player, believing that this method will help them win it all. But in the end, it all comes down to pride. There’s something sweet about telling your opponent you beat them and sharing it with the world, especially if they’ve been arrogant. How Did the Madness Start? Although the history of the bracketology has been linked back to the 1800s for chess matches, it really didn’t take off here in the U.S. until the 1970s, when fan participation increased. With the help of fans, the tournament went from 8 teams to 32. It wasn’t until 1977, however, that the first brackets appeared and drew more attention from the public. 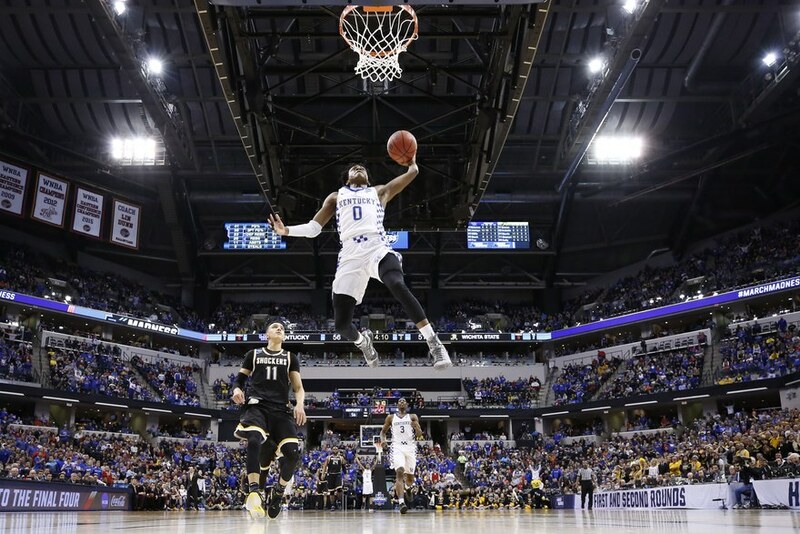 The NCAA expansion of the tournament from 32 to 64 teams further increased the popularity of the bracket battles, and thanks to photocopiers in offices, it became easier for fans to get their hands on one. Nowadays, the digital age has taken the participation levels globally. So instead of competing against a few coworkers and friends, fans are now competing against millions of people. Well, over 60 million people have begun using brackets each year to stake their claim as the best when it comes to predicting which team will win it all. This means that March Madness has truly become a successful marketing tool. In fact, even former president Barack Obama and his electoral opponent Mitt Romney got in on the action, according to Adelphi University. An easy way to keep fans engaged in this lottery is through gambling. Nonetheless, there is always more at stake than just winning and losing. How Will Marketing Methods Evolve Over Time? According to the University of Southern California, personalization and mobile marketing are two of three ways marketing is poised to evolve in a millennial world. This means that every form of media that draws in more participants could also draw in more opportunities for companies and organizations to market their services. Who would have thought college brackets could boost engagement, spread brand awareness, and create new leads? For organizations, this means that as March Madness approaches, companies should take advantage of the bracket season. How? By creating interactive content that strikes the interest of their audience and invites them to participate in the bracket – personalization. The constant rise of March Madness provides a perfect opportunity for seasonal event campaign marketing. With all that in mind, who do you have in your March Madness bracket?